What is this Green New Deal exactly? And why are Republicans…. …..and neo-liberal Democrats so dead set against it they are ready to dismiss it quite out of hand? 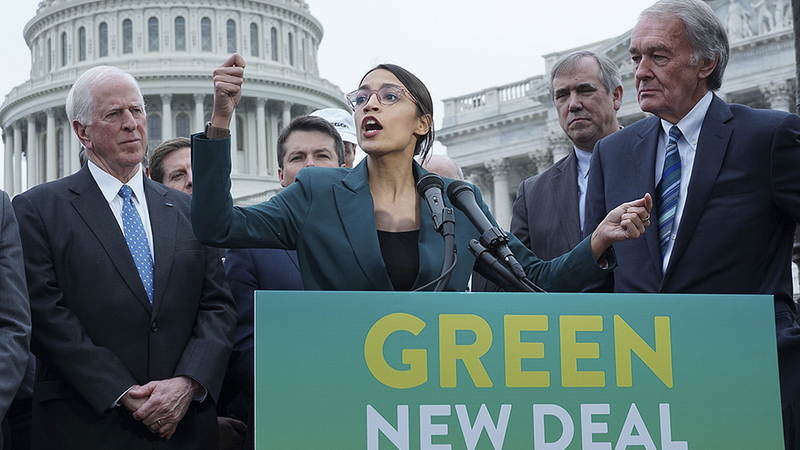 Chances are you’ve heard people both praise and vilify House Resolution 109, otherwise known as the Green New Deal, but it’s just as likely that you haven’t really been given a sense of what it is and what it contains. A bold, expansive document, it is a comprehensive listing of priorities for the Congress and Senate to consider as it tackles issues that many Americans perceive as necessary for the survival of our basic institutions and the future well-being of all Americans… with the emphasis on the word “ALL…” The document specifically outlines a series of problems that affect every American and provides solutions that benefit our collective interests, addressing not only the devastating and observable effects of man-made global warming, but advancing the perspective that the radical changes we must use to correct them should incorporate methods that benefit every American, such that no single group or segment of our population is forced to bear a disproportionate share of the necessary cost. Indeed, if all the proposals are implemented, the plan could very well rebuild our infrastructure, strengthen our nation, and provide a more egalitarian economy simultaneously. The Resolution is presented in the usual legal format. I’ve produced a file that presents the same text in a more readable outline form and will post it here soon. If you do? You could become an expert on the Green New Deal… able to leap tall misperceptions with a single declarative sentence… able to deflect the speeding bullet-points of right-wing detractors… and you could become the envy of all your progressive friends, while standing for truth, justice, and the American way. If I could be given a super power, that’s what I’d ask for.